Might this red-faced elemental have been the “Red Man” who appeared on three separate occasions to Napoleon Bonaparte? And what of the “Grey Man” who aided and abetted the conquests of King Charles XII of Sweden, and the longhaired figure that supposedly showed George Washington the “birth, growth and destiny of the United States?” These unknown parties bestowed crucial information that benefited, or provided encouragement, to these historical figures at critical moment. Brad Steiger, the master chronicler of the unknown, gives us added insight into the specifics of these meetings in his book Atlantis Rising (NY: Dell, 1973). The headstrong Napoleon was admonished by the “Red Man” to desist from his efforts to conquer Egypt, predicting the expedition’s failure. “True to the Red Man’s predictions,” writes Steiger, “the Egyptian campaign failed. In 1809, after the Battle of Wagram, Napoleon made his headquarters at Schonbrunn, where again he received the mysterious visitor.” The Red Man would grace the Little Corporal with his presence once more, in 1814, when beset by his enemies, the emperor was forced to consider abdication. “It is said that Napoleon beseeched the Red Man for time to complete the execution of certain proposals, but the prophetic messenger gave him only three months to achieve a general peace or it would all be over for him.” The emperor was unable to do this, opting instead for a renewed military option, and was forced to abdicate and withdraw to his first place of exile – the Italian island of Elba. Our friends at IIEE Chile have recently posted to their blog an article written by one of the forgotten giants of South American paranormal studies – Prof. Francisco Aniceto Lugo, whose essays appeared magazines and journals on both sides of the Atlantic and whose speculative works, such as Las Cuatro Grandes Catastrofes Cosmicas Mundiales (Mexico: Editorial Orión, 1978) are highly sought by collectors. Professor Lugo’s article bears the title “Bolivar y los Extraterrestres” (Bolivar and the Extraterrestrials) -- referring to the General Simon Bolivar, who won the independence of five South American countries from Spain – and it issue No. 56 of Revista Kabala, dated June 1981. The article goes on to include General Bolivar among the illustrious personages to have face-to-face encounters with these beings, and we translate his article below with sincere thanks to Raul Nuñez of the IIEE. It must seem very strange to our readers to see me state that the Liberator had contact with aliens and received information from them. 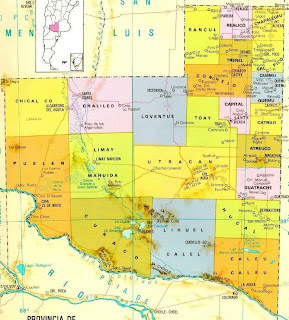 In saying this, I am basing myself upon the very important historical research of Don Luis Beltrán Reyes, which are rather well documented and therefore worthy of trust. At no point does he suggest that the three strange men that mysteriously interviewed the Liberator were aliens, but the characteristics of these beings, as described, are sufficient for me to sustain, as I do now, that they were in fact aliens without question. During the course of his famous military campaigns, Bolivar would meet with three mysterious men, very strange in their appearance, and whose arrival and departure, or no man knew the means through which this was achieved. According to the description given by Luis Beltrán Reyes, these three men were tall and distinguished in their manner. They wore white uniforms with white dress coats and golden cuffs, with the extraordinary detail that [the uniforms] were emblazoned with golden spikes that gave off a strange luminescence. They also wore Wellington-style boots, but the strangest feature was that their footsteps could not be heard as they walked. Moreover, some witnesses say that they were endowed with magical powers, such as the ability to become invisible whenever they deemed it necessary. These strange men practically followed the Liberator everywhere and conferred with him, especially when critical situations arose in military situations or great battles, to insure the success of Bolivar's troops. Surely, these interviews were far from being common knowledge among the combatants. They took place in great secrecy and confidence. Nonetheless, the fact that they were taking place filtered down to events frequented by the high command, and these officers began wondering the role being played by these strange people. 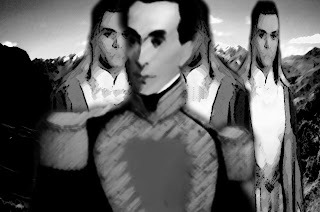 The intrusion – to give it a name – of these three strange beings, fostered by the Liberator, became more noticeable every day and Bolivar’s staff became increasingly concerned, in the belief that these people were being apprised of the plans of the independence movement, thus jeopardizing its triumph through the alleged disclosure of important secrets. But it could not be further from the truth, since it was these “extraterrestrials” that surely displayed the true progress of events to the Liberator, all the while finding the best way to counteract the military progress of the Royalists and obtain a resounding victory as soon as possible. Of course, the information exchanged between the extraterrestrials and the Liberator was the greatest secret; only a few people were aware of this, and only then indirectly. One of Bolivar’s closest friends, Don Pepe Paris, wrote about the matter to a friend in Santa Marta three years after the Liberator’s death: “I believe they were the Liberator’s advisors. On my part, I was glad for it, as you know how much I loved Bolivar and how it pained me to see him surrounded by ingrates and enemies...” This also goes to show that some of the Liberator’s nearest and dearest believed that the three unknown men he met with could have an unfavorable influence on the War of Independence. However, they were never seen to have had any kind of untoward effect on the matters of the great armed encounters of the Revolution. Before the battle of Carabobo, for example, Bolivar met at Tinaquillo with the three enigmatic characters, and as is well known, this tremendous feat of arms (in which nearly the entire Venezuelan nation took part, young men, teenagers and the elderly, along with women of all ages and even the infirm) was the decisive engagement of the struggle for independence. It can therefore be said that the influence exerted by the three unknown characters was evidently a positive one. The fact that the golden spikes emblazoned on their uniforms gave off a strange luminescence, the fact that their footsteps could not be heard, the no less important fact that they had certain magical powers, even to become “invisible” when circumstances dictated the need, along with other details, make it clear that these enigmatic beings could have been aliens. On the other hand, General Santander himself confirms this characteristic when he writes in his letters of “the powers they profess to have...” Moreover, Manuelita Sáenz [Bolivar’s influential mistress] remarked about these significant characteristics in later years, after the Liberator’s death, when answering questions put to her by the eminent figures that visited her in Paita. Not a few great men who have changed the course of History have had the protection of the gods. Bolivar, bent on carrying out the most astonishing adventure of all times, could not be the exception. This thrills us, stimulates us, and tells us at the same time that our people are not alone. We have, without question, aside from the protection afforded to all by Divine Providence, the protection of the gods. Professor Lugo ends his article by employing – twice – the suggestive term “the gods” to refer to these elusive presences. In doing so, he hearkens back to the much-too-human gods of antiquity and their penchant for sometimes directing, or meddling, with the course of human events. Arrayed in unsubtle white uniforms with golden facings, emitting light from the rayed emblem on their chests, Simon Bolivar’s secret “war cabinet” could have stumbled out of a contactee chronicle of the 1950s...or Faucius Cardan’s 15th century description of the elemental or angelic beings that visited him. The interest evinced by these entities in human warfare has been picked up by other authors, such as the late Andreas Faber Kaiser, who mentions the manifestations of angelic and/or saintly figures throughout the conquest of the Inca and Aztec empires by the enterprising Spanish conquistadores. These beings sought to terrify the native resistance, assuring them that all efforts at fighting the invaders were fruitless. Strategic matters are also of interest to them, if we believe the legend that the Emperor Constantine, while tracing out the walls of his “New Rome”, said that an invisible being was guiding him in delineating the walls – aided by a spear – on the soft soil of the Bosphorus. The city of Constantinople would stand for a thousand years as the final redoubt of the Roman tradition, and endures today as Istanbul. Readers with more than just a casual interest in ufology and high strangeness are surely reminded by all this of how “groups of three” appear to be prevalent in non-human manifestations of which we have records in the 20th century: the notorious Men in Black tend to appear in threes, some classic encounters with “ufonauts” in the Fifties and Sixties involved landing parties (for want of a better term) of three beings. Christian researchers have seen in this the possible demonic nature of such presences, which seek to mock the Trinity. But regardless of their origin or activities in the past, the more fitting question would perhaps be: are any contemporary world leaders receiving advice or solace from such shadowy figures, and if so, what outcome might this have for our times? A distressing thought. Mexico: The Xochitepec Fireball - UFO or Meteorite? Residents of Xochitepec were treated to the sight of a "ball of fire" over Avenida Aeropuerto in the Miguel Hidalgo section of town. The witnesses fixed their eyes on a brilliant object in the sky for five minutes, before the sighting ended in a lightning-like flash and disappeared. The unidentified object's presence drew the attention of many: some took out their camcorders, others photographed the "ball of fire" that seemed to fall very slowly from the heavens under clear skies. Some claimed having heard a buzzing sound, stating unequivocally that it was not an airplane or anything known. Furthermore, its descent was slow and perpendicular. Several minutes into the sighting, people were shocked to see the object fire a bright light, resembling a beam or a bolt of lightning. After this, the object commenced its slow ascent until it vanished from sight. Whatever it was, it certainly captivated the locals. Some were astonished and others frightened; there were even those who spoke of the object as "an ill omen" signaling the arrival of plagues and diseases. They do not think that it was a meteorite, as these fall in seconds and are high in the sky -- but this object was at the same height as the clouds, of which there were none at the time. The spectacle took place at 22:15 hours on Thursday, July 23 2009. The photos taken by a local resident were forwarded to this newsroom and are published here for everyone to draw their own conclusions. The night skies on July 20th were iluminated not only by the pyrotechnics that celebrate the 199th anniversary of Colombia's independence. The clear skies over Envigado made it possible to see what Isabel Christina Fernández believes was a very large object that remained static in the firmament for over half an hour. At around 10:40 pm, Isable went out to the balcony of her home on Loma del Esmeraldal and was startled to see a distant light of considerable size and a rhomboidal shape. She waited until 11:00 p.m. to see if the object vanished,but it remained visible. On account of its bright yellow lights and shape, Isabel does not believe that it could have been an airplane. Furthermore, she confirmed that other people had seen it, when she heard several residents of Envigado discussing the sighting on a local radio program on Tuesday. passed over the city of Medellín at that same time on Monday. Its powerful lights could have caused this mistaken perception. Moreover, we had no reports of unidentified flying objects by controllers and pilots." Local residents informed Diario Nogoyá of manifestations of strange lights in the sky that moved in different directions. The phenomenon occured last Thursday and happened again on Thursday evening toward Victoria. opposite direction to their original position. Upon seeing that the phenomenon did not coincide with known sources of light, such as the highway lightings or a nearby silo manufacturing plant, other people were summoned to verify their sightings. The event occurred once more on the following day, on Friday night and in the same direction. area, as it slopes downward and there are no obstacles. As of this moment it is not known if there are ground traces or any abnormalities on the surface, but expectation is great among the locals. 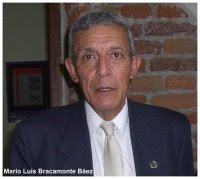 We have just received word from our correspondent and cattle mutilation researcher Raul Oscar Chaves that Mario Luis Bracamonte, director of the Circulo Ovnilogico Riocuartense (Rio Cuarto UFO Research Circuit - C.O.R. ), has passed away after battling an unspecified pulmonary malady. Our thoughs are with the Bracamonte family and members of the C.O.R. Mr. Bracamonte founded his UFO research group in November 1978 and was instrumental in reporting on UFO cases from his region of Argentina. His bulletin - SIO - provided interesting and useful information on various aspects of UFO and high strangeness phenomena, particularly during the 2002 cattle mutilation wave in that country. "The C.O.R.," wrote Bracamonte in his group's website, "understands that the UFO phenomenon must be faced with an open and alert mindset, avoiding all sensationalism and anything that may represent a subject that eschews scientific scrutiny. We are all aware that from 1947 onward, thousands of persons throughout the world have engaged in a conscientious analysis of the UFO enigma, and they have contributed the most significant investigative results. From Rio Cuarto, in the south of the province of Córdoba, a handful of civilian researchers created this organization 21 years ago, and have consolidated their domestic and foreign networks with an enterprising spirit that is worthy of imitation." We have received word from Puerto Montt, dated the 19th, that don Carlos Miranda and several workers of the Bacteriológico (hospital), witnessed the transit of a mysterious object. 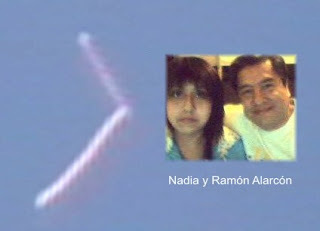 According information obtained from the city of Valdivia, the object was also seen around 17:00 hours. In the information provided by Sr. Miranda, he says that the object floated in space, made undulant movements and descended very rapidly, appearing to give of flashes. Its shape was that of a true disk. ...asking them to test, that he was seeing once more a strange body that gave of flashes with each undulating motion. This mysterious disk vanished upon reaching the [remainder of text illegible]. Ever since I read about John Keel’s passing on Loren Coleman’s Cryptomundo site I’ve been meaning to write something, but the keyboard seemed unresponsive. The sensation was akin to trying to grab hold of a mountain and raise it aloft – utterly impossible. For how does one begin to write about the man who can safely be described as being second in importance only to Charles Fort, and the one of the few writers of UFO subjects who “got it right”? Unlike Coleman and others who have written brilliant and moving eulogies to the departed master, I never met Keel. I exchanged a few late night phone calls with him, may have received a reply to a letter, and shared friends in common. However, I read his paperbacks in the 1970s so earnestly as to believe that the words were written for me alone – a conceit common to many fans. Visiting the newsstand after school meant seeing if SAGA UFO Report had arrived, and then checking to see if there was an article by Keel in it (or Brad Steiger, naturally). While other writers and radio personalities focused on corporeal aliens and possible ports-of-call for our “extraterrestrial visitors”, Keel raised the stakes by positing a belief that was closer to Spiritism: intelligent, not necessarily benevolent forces that had been with humanity forever, and would more than likely outlive our species. Over time, the same magazines that carried Keel’s articles would feature works by Gordon Creighton, the editor of Flying Saucer Review, who shared the same views. Radio and television programs would introduce me to the former Jesuit priest, Salvador Freixedo, who would always hail Keel as a pioneer in this new perception of the field. As fate would have it, and nearly twenty years later, Keel offered to write the foreword to my translation of Salvador Freixedo’s “Visionaries, Mystics and Contactees” (Illuminet Press, 1992), for which I am ever so grateful to this very day. John Keel blazed a trail through the dark woods of the paranormal. It is our duty to keep it clear for generations yet to come. This province was chosen by the number of sightings reported in 2008. Most of the reports issued from the Mendoza, Malargue, San Rafael and Tupungato. 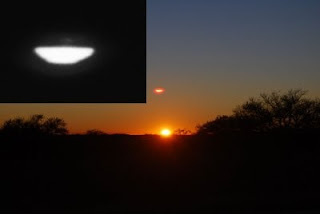 Throughout 2008 and up to mid-March ’09, Fundacion Argentina de Ovnilogia (FAO) was made aware of, or received and analyzed, 13 UFO reports from various parts of Mendoza. Between mid-January and late December 2008, FAO recorded 11 events of that nature plus two more in the first quarter of 2009. 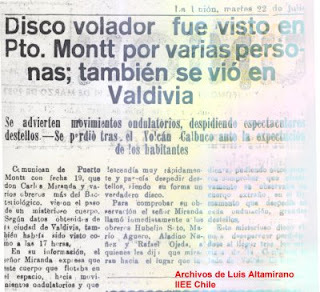 Faced with this “preponderance” of reports, as described by Luis Burgos, leader of the organization, it was decided that the Primeras Jornadas Mendocinas de Ovnilogía (First Mendozan UFO Conference) should be held in Mendoza in October or November with a series of activities linked to the subject, to include a skywatch aimed at detecting any mysterious objects, in hopes of stimulating locals to report any sightings. Several of the cases from Mendoza, aside from eyewitness accounts, were accompanied by photos of the experiences themselves, taken with either digital or cellphone cameras. Some of these images can be seen at www.visionovni.com.ar and www.codigoovni.com.ar. Regardless, Burgos has told UNO from La Plata that “some of these images were classified as questionable by Jorge Figueiras, our analyst.” This is due to the fact that they could have been mistaken observations caused by sunlight. 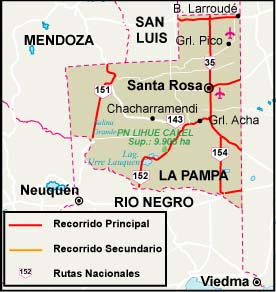 The city of Mendoza, Malargue, San Rafael and Tupungato are the places that gave rise to the greatest number of reports, averaging two and three each. But reports also came from Maipu, Potrerillos and Palmira. These cases increased to 685, as recorded by FAO over a 15-month period in the country – a level of activity that can be classified as a “wave” -- and some of these experiences involved “phantom UFOs” plus a disquieting bedroom visitation reported by one woman. Local eyewitness accounts form part of two reports: La Oleada Ovni 2008 and Los Tiempos Han Venido: Sigue La Oleada Ovni 2009, drafted by Burgos, who stresses that the events ended with the summer [Editors’s Note: meaning the end of our winter in the northern hemisphere]. The majority of the reported sightings – some identified as “questionable” by FAO – occurred in the afternoon and in regions adjacent to the Cordilleran foothills. The objects allegedly photographed, according to accounts, are disk-shaped, spindle-shaped, classic saucers and lights (at night). One of the constants is that they flew from east to west. To Burgos, this is among many mysteries, but he does not dismiss the possibility of “an air corridor, something like a virtual road” that is set in motion cyclically. “There were waves in 1968 and 1978,” he notes. Among the many sightings mentioned by Burgos there is one dated April 3, 2008 in Malargue. It involves the photo taken at 18:50 by Felix Fernandez of the Dirección Provincial de Vialidad with his cellphopne. It was taken as the witness and his friends returned from La Punta, says the ufologist. Suddenly, a strange object began flying over the region for 15 minutes up to the Chacay region. It stood still for a moment and then vanished westward. Fernandez managed to take some photos, which he submitted to FAO. After analysis, the case was described as questionable, says Burgos. How did you come to notice the objects? That morning I was on my way back from Mega Comercial Mexicana in Tlatelolco and in the vicinity of the Convention Center, I looked up and noticed two orange, elongated objects. One was twisting spectacularly (like an earthworm). I got off the sidewalk to have a better visual angle and managed to see five more objects, but whitish in color. Then I phoned my daughter to ask her to record them. The time was 8:30 a.m.
What direction were they flying in? Were there any celebrations on that date? Could the objects have been garlands of balloons? I don’t think so. They were too big, measuring about 100 meters long. Furthermore, as I indicated earlier, they contorted in a spectacular manner. I saw them shrink and form triangles with straight angles. I don’t think balloons are able to do that. What impressed you the most about them? The fact that they traveled in a group, and the maneuvers they made. 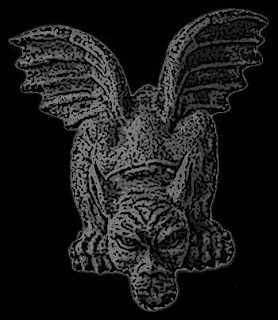 Biological entities that live in the stratosphere and are affected by exceptionally powerful solar activity, causing them to descend and seek protection. What did your daughter remark? That they looked like worms courting. Yes. I had seen this phenomenon earlier, in 2005. At that time there were only two, heading from Azcapotzalco to Tlatelolco, also in the morning at 9:00 a.m.
"The purpose of my e-mail is to tell you that today (Thursday, July 2, 2009) while parked on a street in my town, and the time being exactly 18:47 hours, I was able to see a light that moved like an airplane, but at a very low altitude and following a route that is not customary for aircraft passing over our community. "The light was similar to the morning star when it shines with great intensity - a strong bluish white color. It traveled without making any noise or buzzing that would identify it as an airplane. Nor did it change sizes or flash. It moved at low speed from SW to NE, taking some 5 minutes to cross the area (I timed it) and it vanished into the horizon without changing color or shape. Logically, it grew smaller as it faded into the distance. "Unfortunately, i didn't have my camera on me, as I had gone out to carry out a transaction at a doctors' office. Well. I simply wanted to tell you what happened, since it appears from what has been published in the blogs, that something similar has occurred in Santa Rosa in recent years. Best regards to you." Comment by Quique Mario: This is the importance of being able to maximize the use of the communication elements at our disposal. No sooner was the news published in the CEUFO blog that an observer in a neighboring community informed us of an event he had experienced this evening. This makes it possible to reconstruct such episodes immediately. We are grateful for this cooperation, since we can at least understand that the phenomenon "is there", to judge from so many witnesses. 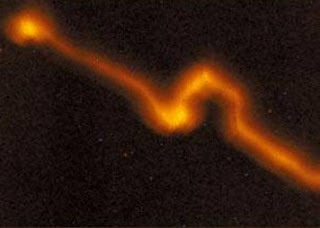 From the July 3, 2009 posting, it seems that cattle mutilation activity has returned to Nogoyá in Argentina’s province of La Pampa. 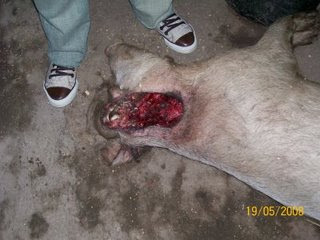 “Two new cases of bovine mutilation became known at this time in the Department of Nogoyá. 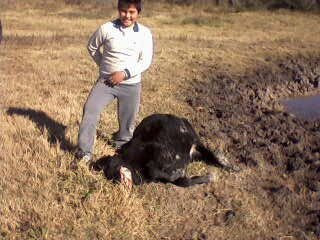 One of the animals was found in Laurencena, and another in the Urquiza Sector. Ufologist Patricio Diaz analyzed the photo after people described it as a lens flare or film defect. 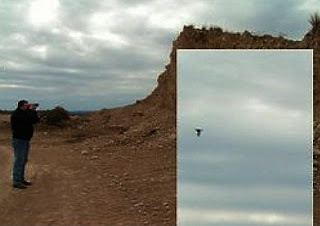 The photograph was taken by a reader in Valle del Elqui and allegedly showed a UFO that is still a source of argument. 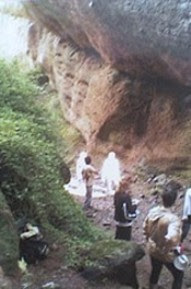 Ufologist Patricio Diaz analyzed the photo, in view of comments suggesting that it was a lens flare or a defect in the film. "Over the course of last week," he noted, "readers of El Dia were able to witness the presenation of a curious photo taken in Valle de Elqui using a 35mm film camera. Since the prudent thing to do was learn more about the affair, I headed to Monte Grande, got in touch with the owner of the photo, and inspected the negative." He was able to ascertain on site, he explains, that the photo was taken outside the house, specifically in its back yard, and therefore there was no window whatsoever that could account for a reflection on glass. "I personally took the negative to a photo lab where I was told that the negative was in perfect shape and that what appeared in the photo was indeed there," says Diaz, remarking that the camera employed was a simple point-and-shoot device. "After the on-site investigation and personally seeing the place, I can indicate with the information currently in my possession that the photo is hardly a reflection, since there is no glass outside the house or facing it. As a general remark he adds that the controversial photo was taken with ISO 100 35 milimeter film. The police found four cows whose eyes, uteruses and tongues had been removed. 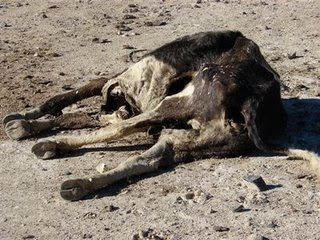 The animals were found dead in the rural area of Nogoyá. The absence of water in a nearby lagoon also drew their attention. Residents of the rural area known as Crucesita Tercera, in the Department of Nogoyá, are shaken by the strange death of four cows in the interior of two fields and the unforeseen draining of a lagoon. Personnel of the Office of Cattle Theft and the Nogoyá Police ascertained that the cows had succumbed to a mysterious mutilation, but also noted that a nearby lagoon, which a day earlier had been full of water, was now empty. Once more, fantasy, myth and mystery began to weave themselves over the deaths of these animals. Apparitions of the so-called “Chupacabras” and even a UFO sighting are now part of the comments being made in the heart of the province. The cows found by police officers were missing their reproductive organs, tongues and eyes. For this reason, the veterinarian attached to the Office of Cattle Theft, a part of the Nogoyá Police force, stated that there is no rational explanation for the animals’ deaths and much less for their strange mutilations. The dead bovines, according to police, were the property of Gustavo Cabañas, an employee of the Banco de Entre Rios, Nogoyá branch. The man owned the field and the herd of cows and calves within it. A few days later, Cabañas had surveyed the farm and found that everything was in good order. Even the volume of water of nearby lagoon presented a generous quantity of the vital fluid, considering the drought. But for reasons that remain unclear, the lagoon dried up in a few hours, forcing the field’s owner to transfer the animals. He found the dead animals as he performed the transfer. 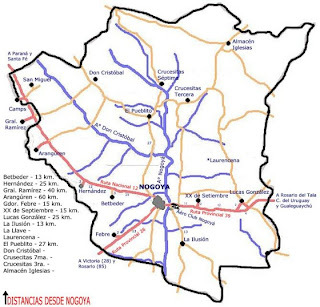 Nogoyá’s cattle rustling authorities and agents of the Sheriff’s office confirmed their investigation and the mysteries that surround it. The events cannot be explained scientifically. Crucesita Tercera is some 50 kilometers from the departmental capital. Due to this event, the Cattle Theft officers spoke to local residents, who gave scant details on elements that could help explain the deaths of these animals. The subject expanded yesterday when it was learned that Police found another mutilated bovine in an adjacent field. The carcass displayed the same characteristics: it was missing both eyes, its tongue and uterus. The cow belonged to a woman surnamed Sanchez and the incident was discovered only a short distance from the Sheriff’s office. The Cattle Theft office noted that they had reported the mutilations on the three cows found over the weekend, but that the bones near the mutilated parts were clean, as if death had occurred some time ago, and not a matter of days, either. Furthermore, surgical incisions were confirmed, some of them without scarring or blood on the grass of the animals’ hides. Three years earlier, a pair of bovines was found lifeless and mutilated only a short distance from this last discovery.